CHARLESTON, S.C. – A two-time World Series champion and postseason icon on both sides of baseball’s most historic rivalry, former Major League outfielder Johnny Damon will be the keynote speaker at the RiverDogs’ 15th annual Hot Stove Banquet & Auction on Friday, February 1 at 6 p.m. at the Charleston Gaillard Center. 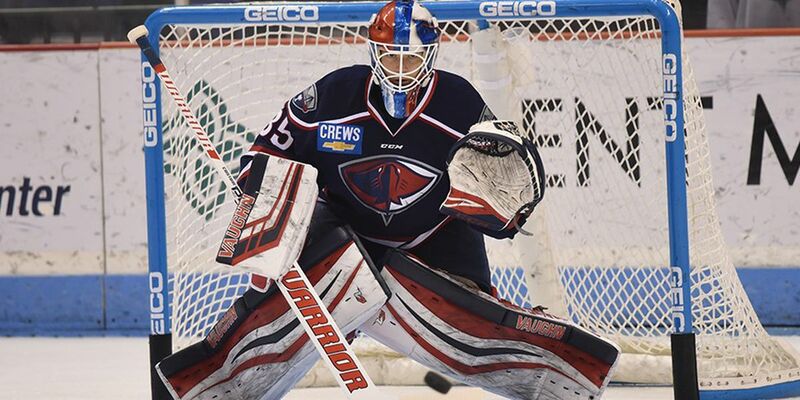 Damon will share behind-the-scenes stories, answer questions, and pose for pictures with fans during the Hot Stove Banquet, which is presented by Tom McQueeney State Farm for the 12th consecutive year. The event will open with a cocktail hour and silent auction that includes baseball memorabilia from past Hot Stove speakers, collectibles from RiverDogs Director of Fun Bill Murray, vacation packages, and more, beginning at 6 p.m. A program, including addresses from the Citadel, Charleston Southern, and College of Charleston head baseball coaches, and Damon, concludes the evening. Individual tickets and tables for the event are now on sale. 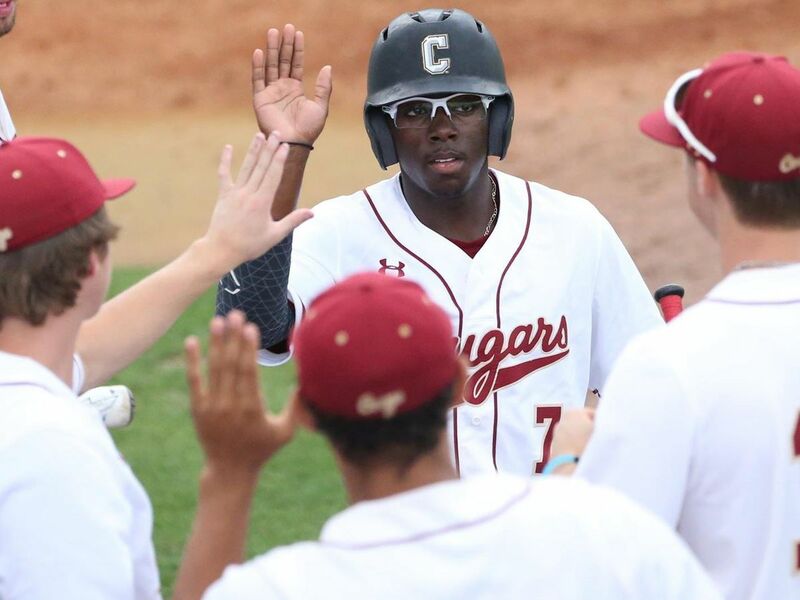 Proceeds from the event benefit The Citadel, College of Charleston and Charleston Southern baseball scholarship funds, and the Campaign for MUSC Shawn Jenkins Children’s Hospital. Damon enjoyed an impressive 18-year career in the Big Leagues, most notably with the Red Sox and Yankees. A first-round pick in the 1992 Amateur Draft, the Orlando, Fla. product quickly established himself as a dynamic leadoff hitter when he debuted with the Royals in 1995. Over the course of an illustrious career, the two-time All-Star accrued over 2,700 hits with seven different teams while batting .284, hitting 109 home runs, stealing 408 bases and posting a .352 career on-base percentage. He is one of 75 players in baseball history to have stolen 400 or more bases. After signing as a free agent with the Red Sox in 2002, Damon helped bring the city of Boston their first World Series title in 86 years as part of the Sox’s historic 2004 run. After flipping sides to New York two seasons later, he was an instrumental piece of the Yankees’ 2009 championship team. Individual tickets to the Hot Stove Banquet are $85 and can be purchased online at riverdogs.com and rileyparkevents.com. 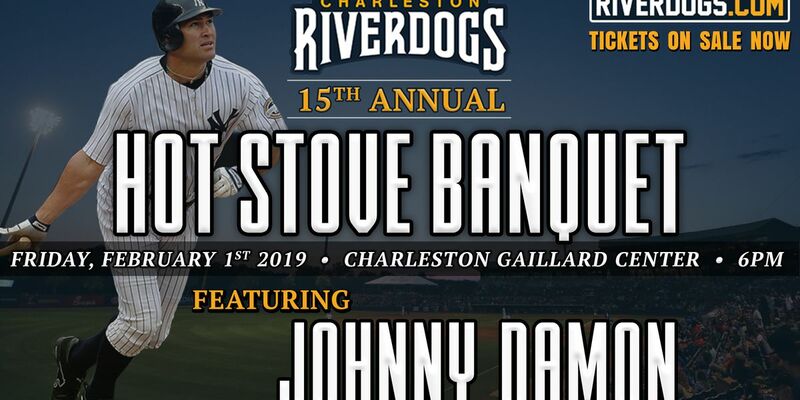 Groups can reserve a table of eight for $700 and a table for ten at $800 by contacting the RiverDogs Special Event Department at (843) 577-DOGS (3647).